There’s no small amount of confusion around the notion of heaven and the Kingdom of God. Much of it probably derives from the Gospel of Matthew. 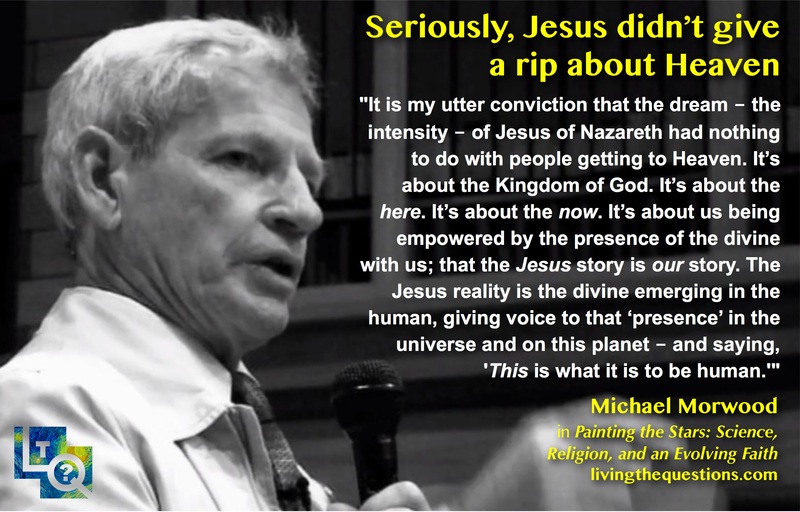 Matthew writes to a Jewish audience for whom the word “God” is unutterable, so he changes “Kingdom of God” to “Kingdom of Heaven.” In the Gospels according to Mark and Luke (and Thomas), Jesus’ expressed purpose is to embody and proclaim the Kingdom of God as a lived reality here and now – “not in some heaven, light years away.” So “The kingdom of heaven,” (to use Matthew’s designation) isn’t about an otherworldly heaven – it isn’t a concept of the afterlife at all. It’s not about getting to some otherworldly heaven, but about how we embody the Jesus story in our own lives, here and now. May the coming New Year offer us all opportunities to live out the Jesus story wherever we find ourselves!